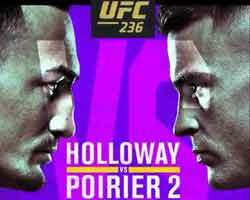 Review: 2014-04-16, aggressive start and high pace: Elias Theodorou vs Sheldon Westcott gets three stars, great fight! The undefeated Elias Theodorou entered this fight with a perfect record of 8-0-0 (62% finishing rate) and he is ranked as the No.79 middleweight in the world, he is 25 years old (four years younger than Westcott) and he has four wins by ko and one by submission. His opponent, Sheldon Westcott, has an official record of 8-1-1 (75% finishing rate) and he entered as the No.86 welterweight, he suffered his only defeat at his pro mma debut in 2007 (split decision against Victor Bachman). Theodorou vs Westcott is the middleweight final of The Ultimate Fighter Nations; undercard of Michael Bisping vs Tim Kennedy – UFC Tuf: Canada vs Australia. Watch the video and rate this fight!